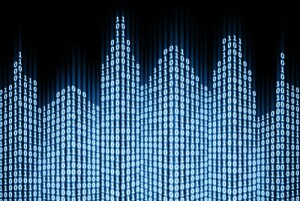 All commercial, residential and industrial buildings have a lot of parameters which need to regularly controlled and monitored. Apart from comfort and convenience, such automation is essential for monitoring all critical parameters. This is achieved through a Building Management system also known as Building Automation system. All such systems can be connected to the internet and can be monitored and controlled from remote locations. Also, we can combine different buildings in different locations to a single system for central monitoring. The whole concept is called a Building Management System (BMS). Building Management System also reduces energy consumption for a greener environment. Using sensors we can provide feedback, thus managing the outputs like lights, air handling systems etc. to efficiently reduce energy consumption. Already if we look around we can see a lot of automation in malls, offices etc. and a huge amount of energy is saved. For example in malls, escalators start operating only when there is a human presence but if it runs for a whole day the energy wastage is very high. Case studies are already done for buildings which prove that energy consumption has reduced up to 50%. Most common parameters being monitored presently are listed below. Fire and smoke alarm monitoring are achieved through smoke and heat sensors connected to the system. Gas sensors can carry out Gas leakage monitoring and will connect to the centralised system for monitoring. Access control system for permitting to access under different categories, different floors etc. is possible through a centralised BMS system. A surveillance system using CCTV and connecting to centralised BMS system is possible. Heating Ventilation and Air Conditioning system is a major part of a building Management System (BMS) by connecting various temperature sensors from across the entire building. A BMS system can take inputs from Water level sensors in the water tanks for level monitoring. separate monitoring of the temperature of critical rooms is possible by categorising architecture in the BMS system. 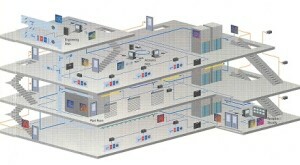 Monitoring of humidity of critical rooms also is possible through humidity sensors connected to the Building Management System. A BMS system can manage and control lighting systems by sensing Light intensity levels (external and internal). Lighting and HVAC control are also possible by installing presence sensors and motion sensors to check Presence and motion of people. These are general parameters and any other parameters can be monitored using various types of sensors. The Building Management System company designs and integrates the components to a centralised monitoring station. A protocol is basically the communication language used by all the components in the system to transmit signals to each other and to the central processor. 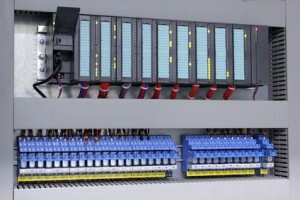 A typical building automation system will have thousands of such components which need to communicate each other. Prominent protocols are BACnet, Modbus, KNX, LonWorks etc. Different manufacturers of components use different protocols for their components. For any addition of systems at a later stage, components of same protocol need to be used. However, interface components are available to use components of other protocols. KNX is an open protocol for which any manufacturer can develop new components. Curtains will automatically adjust positions based on direct sun rays so that sun rays will not reach the room directly. An automated home theatre which will automatically reduce the volume and pauses the video when a phone rings. Mood lighting is possible based on time of the day. Switching the AC by sending SMS or using mobile applications even before a person reaches home. Various switching actions for lights, AC etc. through voice commands. We, as a Building Management System company undertake complete design, supply, installation and commissioning of a BMS System. A client should define the parameters which have to be monitored and controlled. We will be designing an architecture accordingly. If the client does not have any preference for the protocol, we will be selecting the most economical protocol based on the size and complexity.